When servicing the synchronizers, retain them in the same order that they are removed. Keep the synchronizer components together and mark them to identify correct location. Install the synchronizer inserts (1) into the 1st/2nd gear synchronizer hub (2). 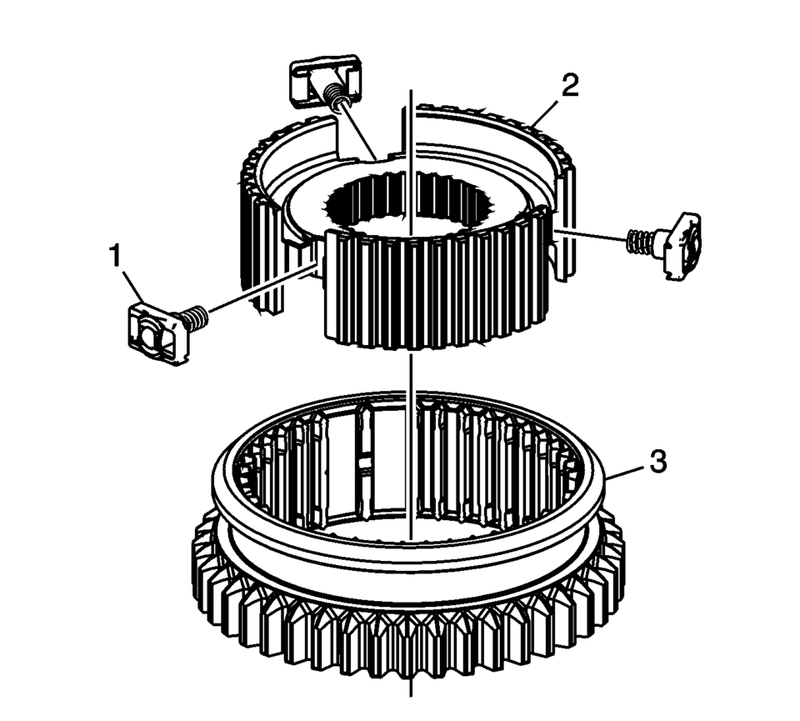 Install the 1st/2nd gear synchronizer hub (2) into the 1st/2nd gear synchronizer sleeve (3). 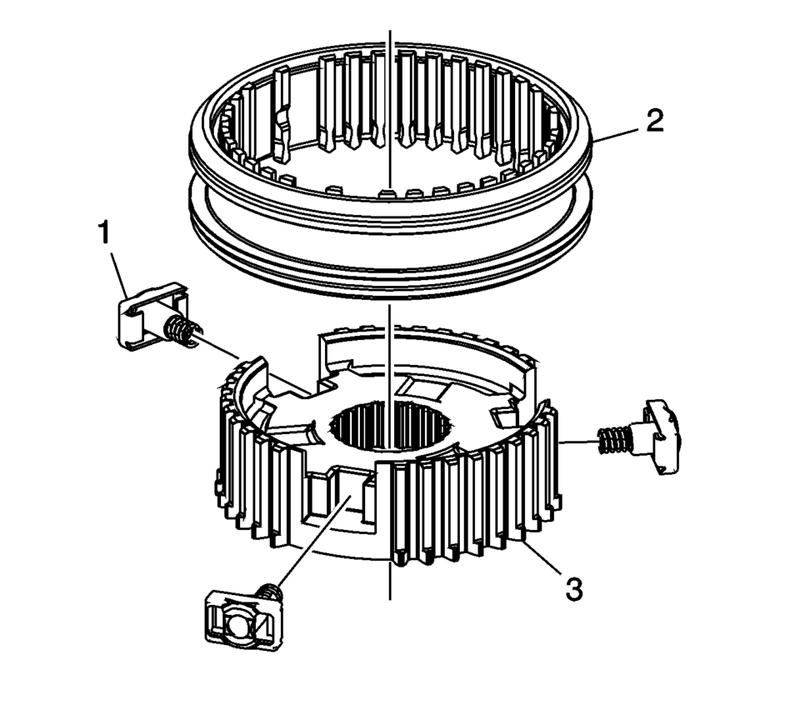 Install the synchronizer inserts (1) into the 3rd/4th gear synchronizer hub (2). 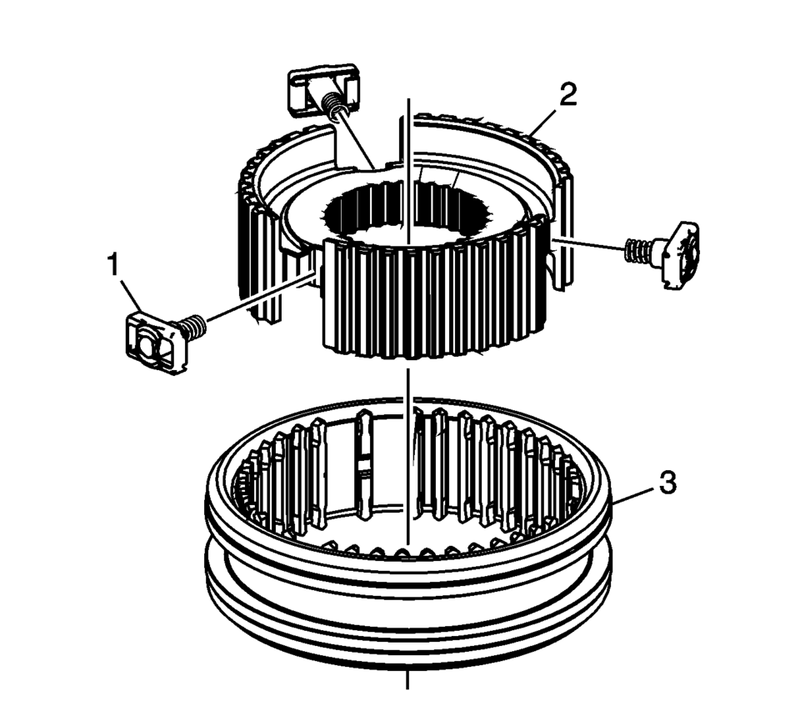 Install the 3rd/4th gear synchronizer hub (2) into the 3rd/4th gear synchronizer sleeve (3). Install the synchronizer inserts (1) into the 5th gear synchronizer hub (3). Install the 5th gear synchronizer hub (3) into the 5th gear synchronizer sleeve (2).